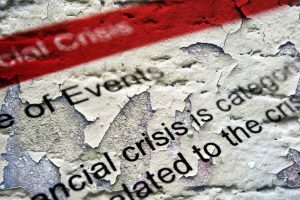 Leverage in the economic system has become so extreme that investors have no idea of the disaster in store during the next stock market crash. The 2008 crash was merely a warm up for the continued disintegration of the global financial system. While the US and global economies have continued as usual since the Fed and central banks stepped in and propped up the collapsing markets in 2008, this was a one-time deal that can’t be used again. This is much higher than in 1999, or even 1929. Lebowitz is suggesting that investors are paying over 3 times the average for a dollar of economic growth. The higher it goes, the bigger the correction and return back to normal levels. When the markets correct, they will correct violently, or most likely crash at some point. Thus, the next market crash will cause the largest panic gold buying in history. Up for discussion: Setting up the foundation for the coming gold panic buying market; global gold ETF demand—the nasty wildcard; total gold investment demand fluctuates due to fickle retail investors; and what record gold investment will look like when the markets finally crash.